Congratulations to Guy Van Middelem, winner of the Club Championship 2015! Thank you to all participants for all the fun we shared. The championship comprised a series of twelve tournaments, taking place on the 4th Friday of each month. We used a monthly Swiss tournament format, playing 4 rounds of matches to 5 points. The player having accumulated the highest number of championship points (see below) after the December tournament would be the 2015 Backgammon Club Leuven champion, successor of Zsolt Tasnadi. In case of a tie, the title would go to the player having the overall maximum number of wins, but this rule did not need to be applied. Tournament director was Johan Segers. Each month, Zsolt wrote a nice story about the passed event, every time showing an interesting position that had occurred. You can read Zsolt’s stories by looking for posts in the category Club Championship. Thank you, Zsolt! The venue was Sport and Squash Club De Vaart, Kolonel Begaultlaan 15, 3012 Wilsele. Thank you to the friendly and helpful staff for making us comfortable, clearing some space, and staying open until the end of the tournament, after all squash players had already left. In theory, playing started at 20:00, although in practice, it was often 15 minutes later. 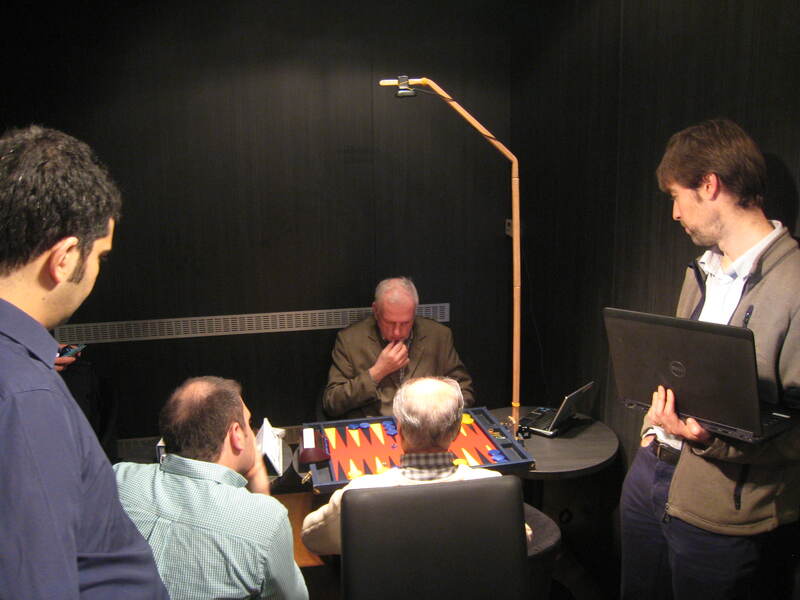 Results and ranking of the Backgammon Club Leuven 2015 Championship are available in an online spreadsheet.